Peppermint is one of the most versatile, easy to use and easy to grow herbs known to man. It has been used forever with a wide range of benefits. I know I’ll probably miss some benefits you know of, but In this article I will highlight my top 10 natural healing solutions using peppermint as well as give instructions for how to grow your own. This video outlines the top 10 Natural Healing Solutions Using Peppermint. 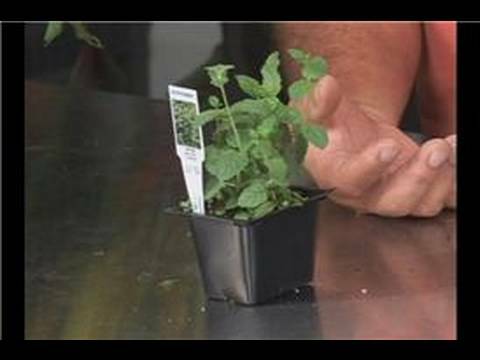 I am sure that after watching that video you were just as excited about peppermint as I was and probably want to know how to grow your own. I love peppermint tea and so growing my own was a natural solution. I found out it’s easy and can be grown all year long! Mint likes a lot of water – in nature, it will grow right up to the edge or even into the shallows of small streams or ponds. So I just water it whenever I pass by and think of it. On the other hand it’s pretty tough stuff – My sweetie was doing some painting, and for a month in the late fall my living room was so full of scaffolding, drop cloths, paint cans, etcetera, that I could not get anywhere near my plant stand without a considerable amount of acrobatics. I think it got watered once during this period. It wasn’t happy, but it survived. I’m also going to give it a little fertilizer soon, which is something that is a good idea with any plant that produces a lot of leaf growth, especially if you are nipping some of it off on a regular basis. My plant stand has fluorescent plant lights, and this has also contributed to the health of the mint. Even with a south-facing window, some extra light is a good thing during the darkest days of the winter. Peppermint can be used in so many ways and for so many things. Check out my other post about the background and science of peppermint. I’d love to know what natural healing solutions you use peppermint for – then maybe I’ll have to do another post on a NEW top 10 natural healing solutions using peppermint. Be sure to SHARE THIS POST and help others find wise natural healing as well!